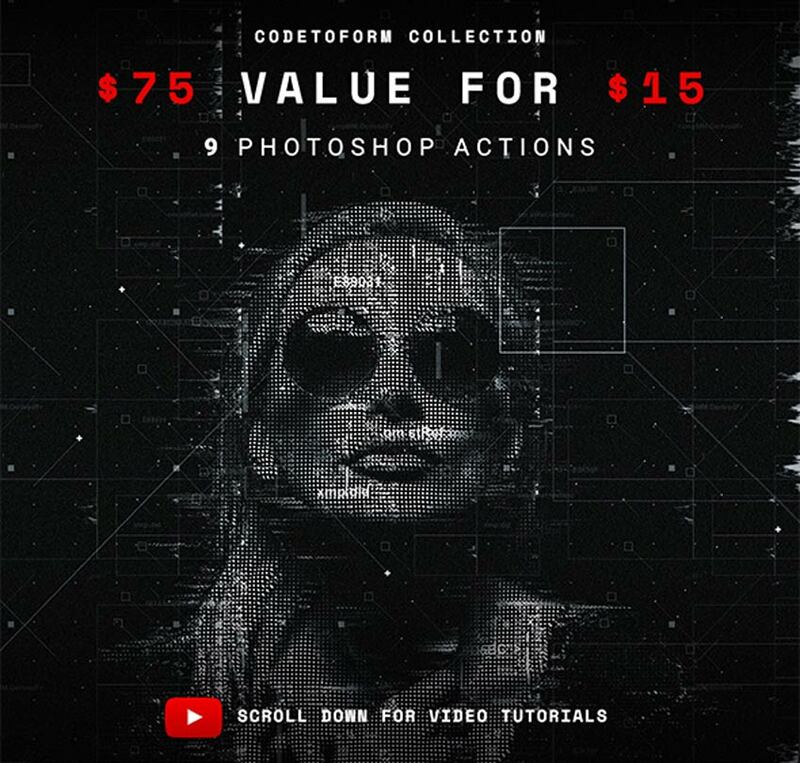 Enter 2019 with the best Photoshop actions around. Check out these awesome new resources below. 2019 is finally here, so how will you transform this year? Try a new Photoshop action and create wild photo effects to share on Instagram, Twitter, and Facebook. Explore your creative spirit with cool photo effects like retro-inspired posters, ink and sketch effects, or duotone color palettes. 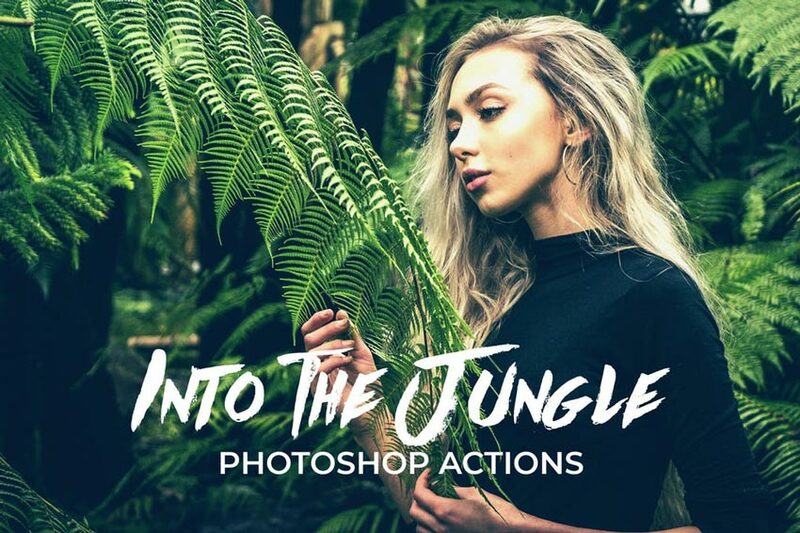 Stay on trend with this new list of incredible Photoshop actions and creative photo effects from Envato Elements and Envato Market. Find quick, affordable options you can download in seconds, or subscribe to unlimited high-quality assets for one monthly fee! Produce high-quality photos within minutes with this incredible set of nature-based Photoshop actions. Perfect for travel and nature photography, these actions give your work that adventurous look. Mix and match these vintage color effects for a bold, new effect! Don’t worry, your photos aren’t doomed just because you’re not familiar with Photoshop. Just use a wicked Photoshop action like this one for explosive effects. Tested on a multitude of high-resolution pictures, this action features a structured PSD file you can edit at any time. Love the 80s? Then you’ll definitely want this retro 80s poster action in your collection. 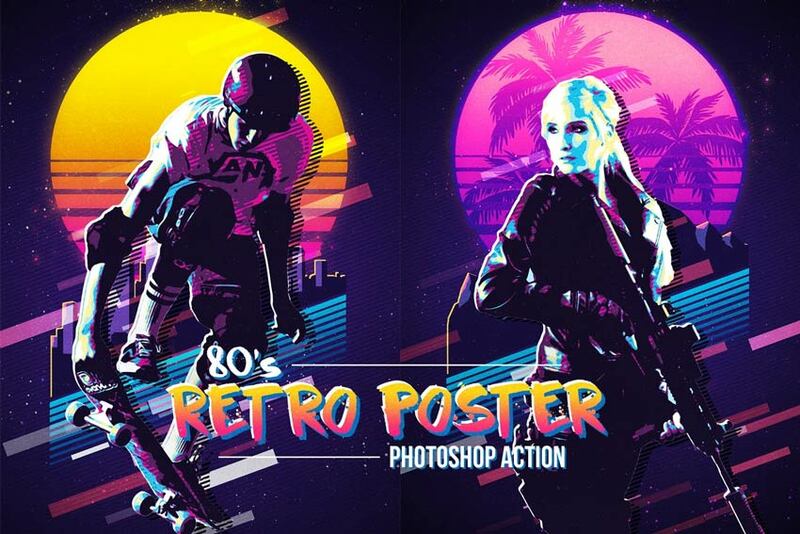 Inspired by the latest trends in retro design, this action creates a vibrant poster in just a few clicks. It works best with models or figures, so make sure to try it with your favorite selfie. Can you feel the energy from this photo? Make your audience feel the same with an image that creates a powerful impact. 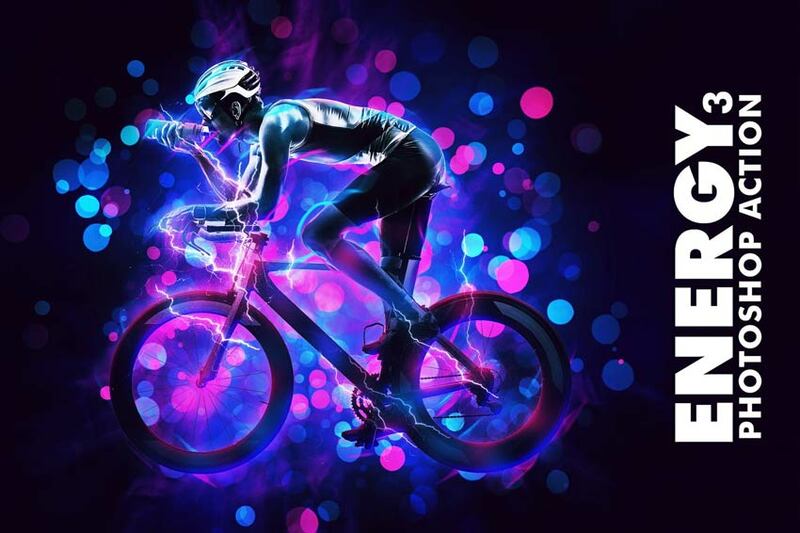 This Photoshop action creates a neon-colored photo effect complemented with bokeh, lightning bolts, and more. Make attractive photos no matter your experience level. Recent trends in infrared photography are taking the internet by storm. 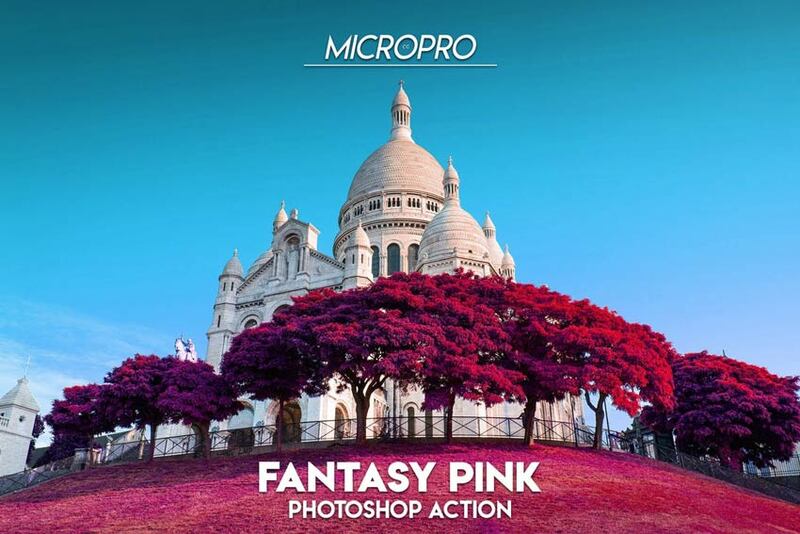 So tackle your own fantasy pink forest with this incredible Photoshop action. Compatible with Photoshop versions CS4 and above, this action is super easy to use for reliable results. 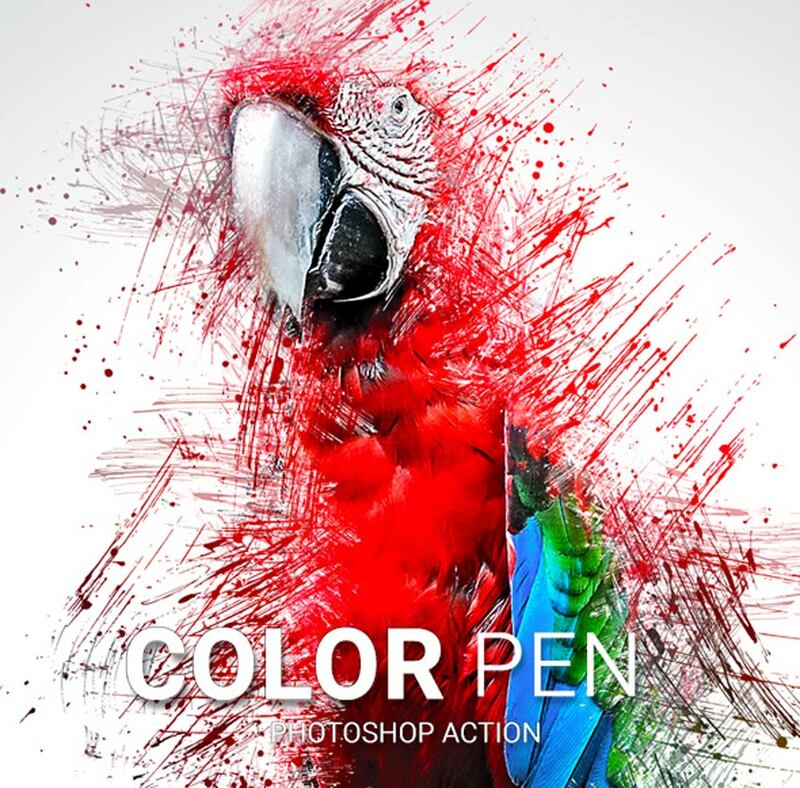 Or you can tackle a messy project with this colorful pen Photoshop action. Create a traditional-looking pen drawing with your pet, person, or landscape photography. All you have to do is paint over the area where you want the effect, and then press play. Super easy! Feeling a little dark? Pay homage to your favorite cinematic scenes with this set of dark Photoshop actions. A collection of 25 unique looks, this bundle includes beautiful, professional-looking color palettes. Instantly make your work stand out with this collection. Vincent Van Gogh is easily one of the most recognizable painters in art history. 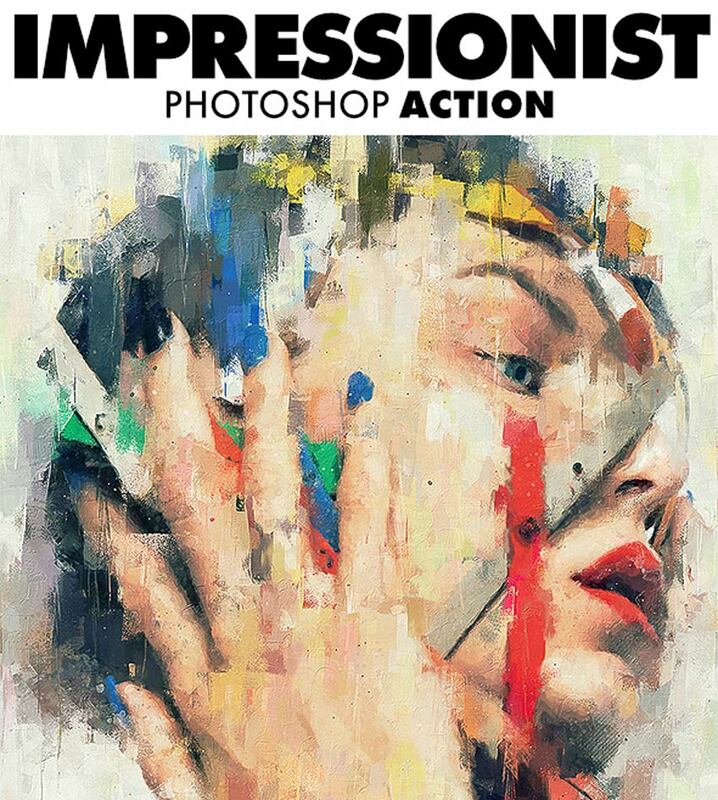 Now you can emulate his famous post-Impressionist style with this oil painting Photoshop action. Add a cool animation to your work for a surreal painting effect that moves. 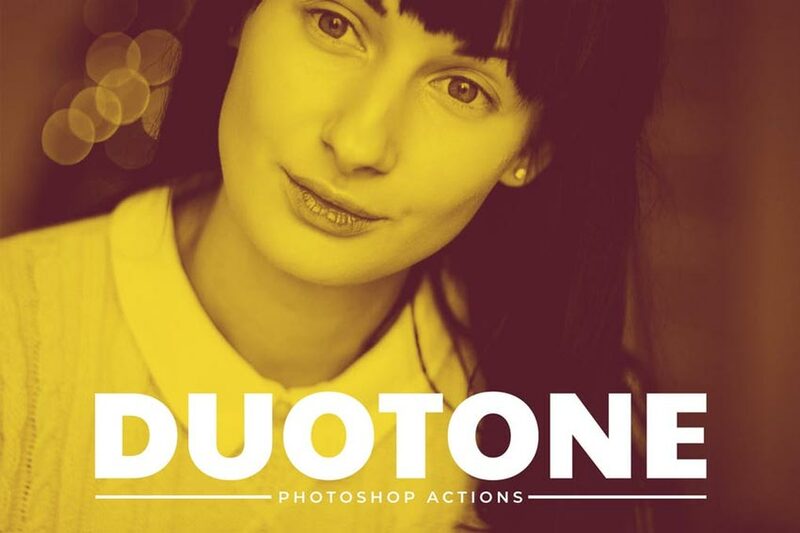 Sleek and professional, these Duotone Pro Photoshop actions help you achieve phenomenal color effects for almost any project. Choose from a collection of 50 quality actions to speed up your workflow. A handy instructional guide is also included! 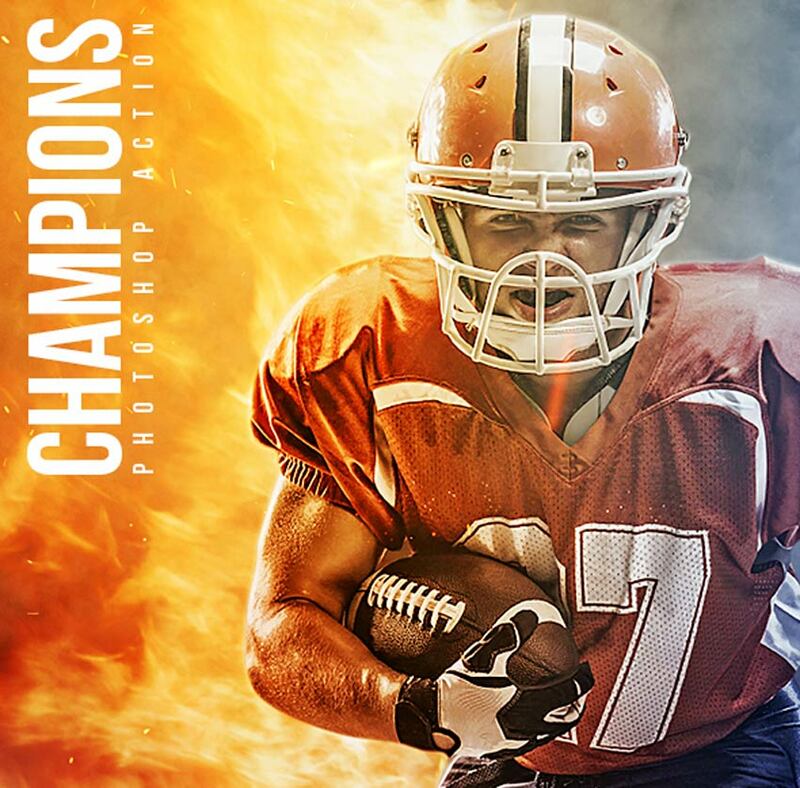 Become the champion you are with this powerful Photoshop action. Create stunning fire and smoke effects perfect for action and sports-related photography. Compatible with Photoshop versions CS6 and above, this action includes all the necessary pattern, brush, and action files to make this effect. Digital photography produces clean, crisp photos, but maybe you want to try something else. 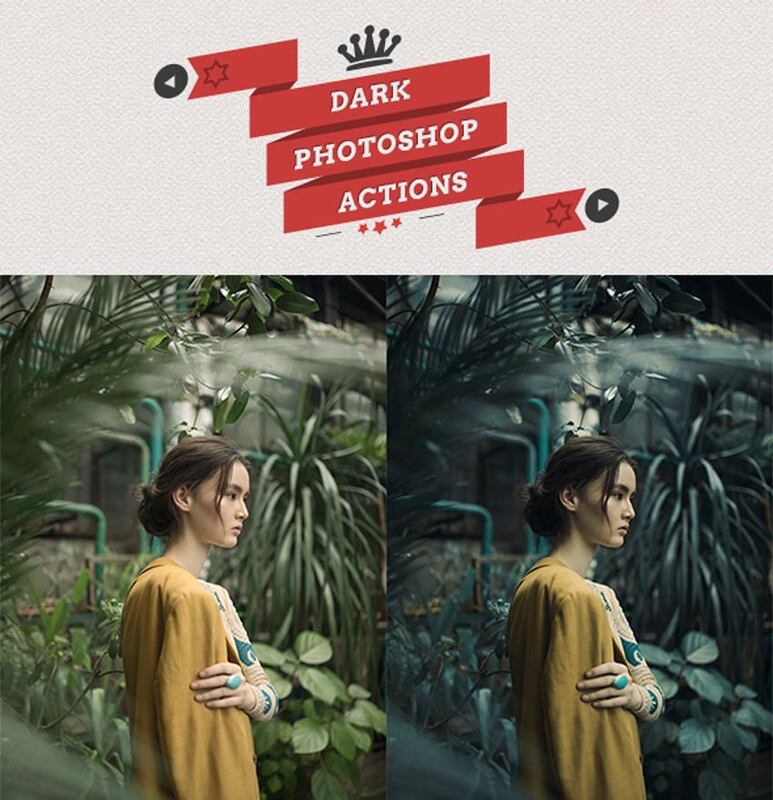 If that’s the case, try out this lovely pack of digital film supply Photoshop actions. Inspired by grainy, retro photography, this action set will add authentic aging to all your photos. Create unbelievable double exposures with this extraordinary action. Merge incredible shots of animals and landscape photography together for one remarkable look. Simply open the action and select your best images to get started with this effect. Do you love traditional art but hate getting dirty? 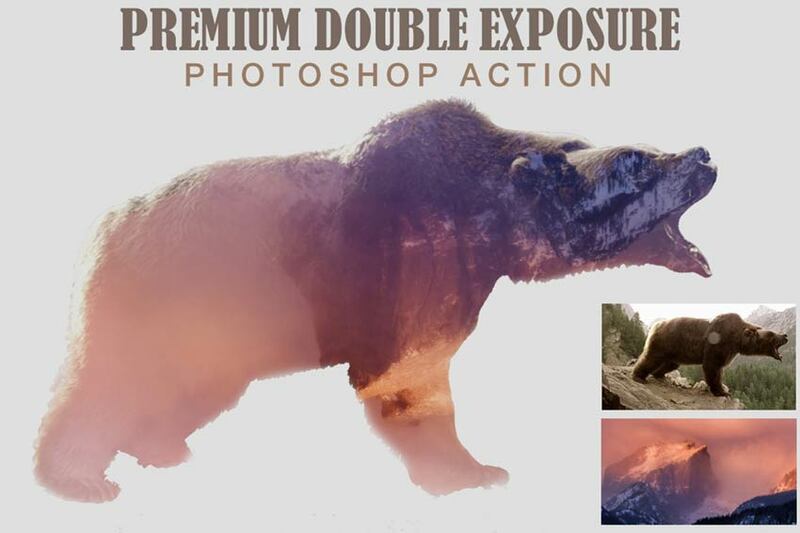 Then try this next Photoshop action. Inspired by the beautiful watercolor medium, this action emulates the unique painterly style for impressive results. Included are ten color presets you can apply with just one click! 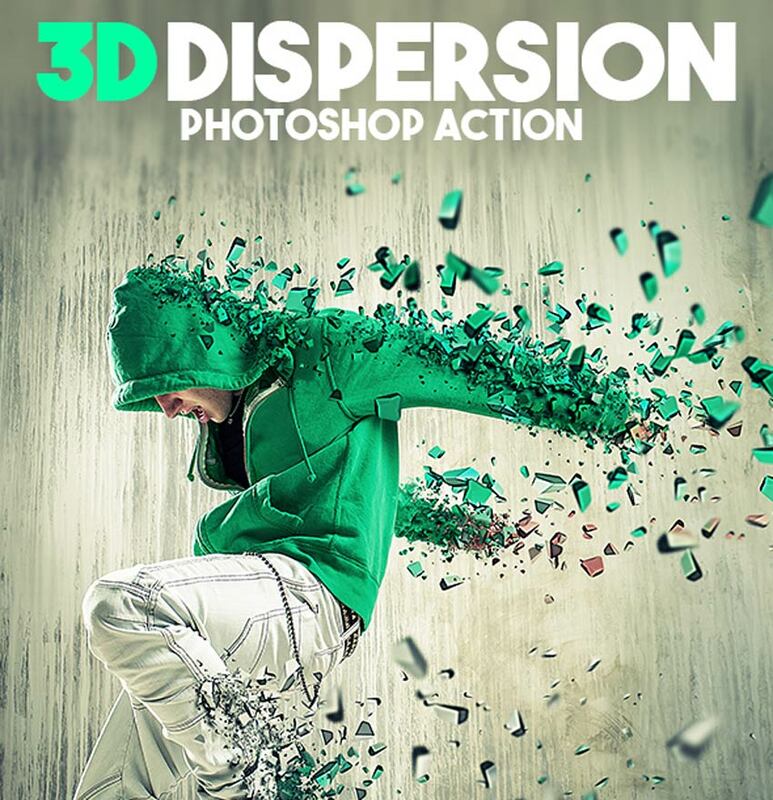 Dispersion effects explode your subjects into millions of tiny particles for a cool result. Now you can save valuable time and energy just by creating this effect with a simple action. This particular one turns the particles into dynamic, three-dimensional pieces you can apply in four directions. Here’s another great Photoshop action inspired by the late 19th-century Impressionist movement. 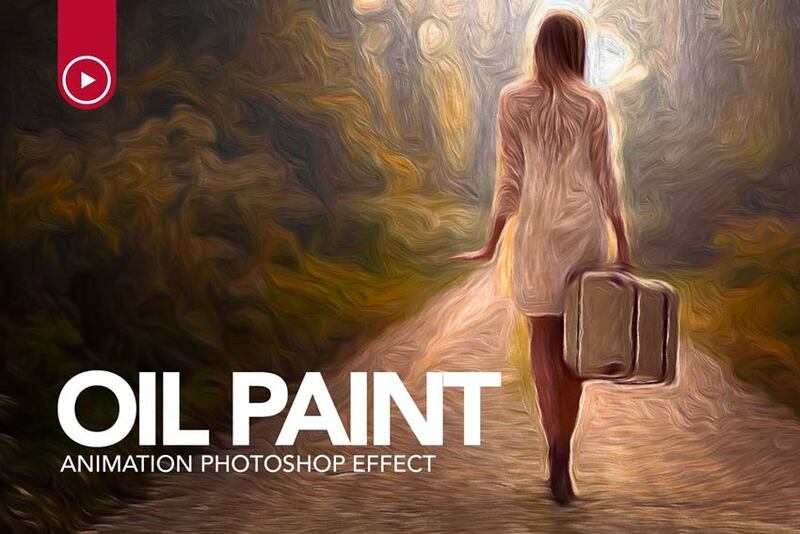 Easily turn your work into abstract oil paintings complete with realistic textures and more. Just follow along with the quick video tutorial to see how this one works. 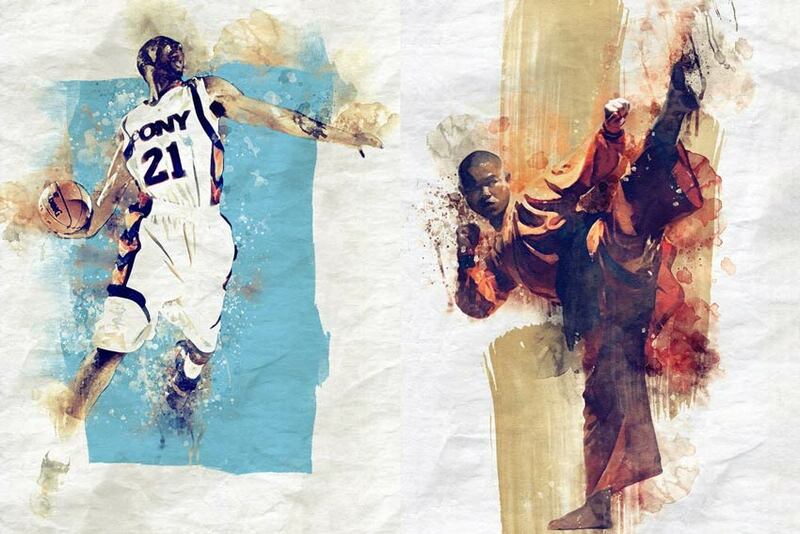 Ever wish you were as talented as the greats? Now you can match their efforts with a quick Photoshop action. Create fantastic hand-drawn sketches inspired by your favorite photos. It’s super easy to use and creates a fully layered result you can modify at any time. What would you say to the world if you had to write it all down? 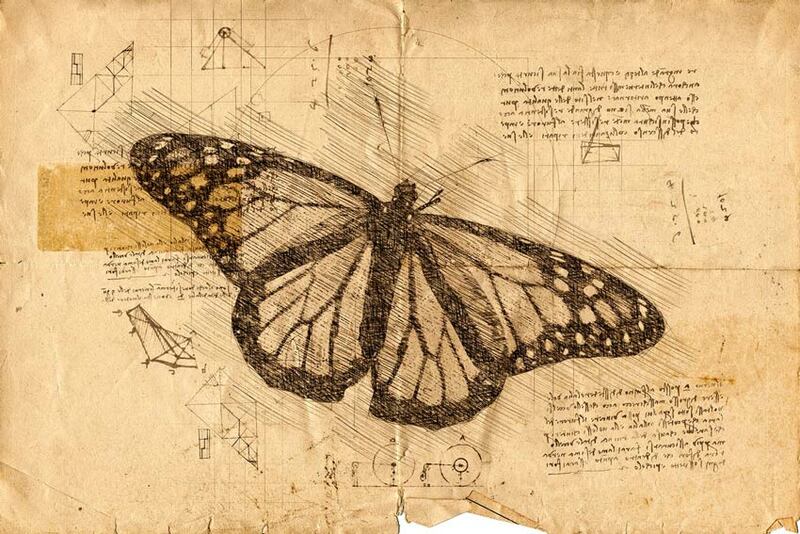 Figure it out with a beautiful image like the one below. 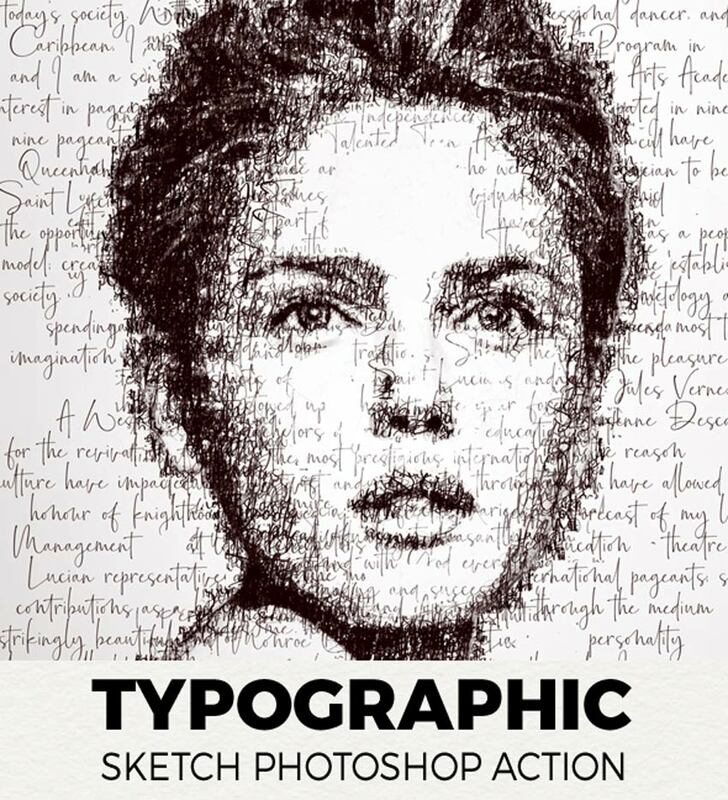 Great for lovers of typography, this sketch Photoshop action features a stunning, handwritten portrait effect that will make your photos pop! Check it out. Or perhaps the inky look is more your style. 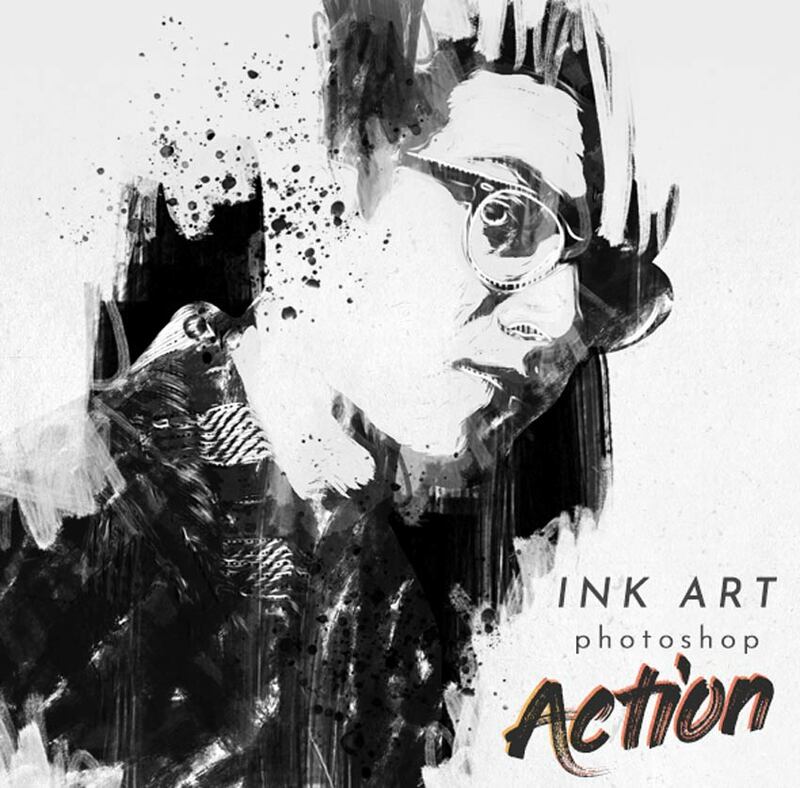 This next Photoshop action is inspired by traditional ink drawings. Update your avatar with a cool traditional style that features realistic ink streaks, textures, and ink splatters. Try it out with Adobe Photoshop CC. Can the hustle and bustle of city life be captured in one action set? This pack certainly succeeds, with remarkable color effects which saturate your pictures. 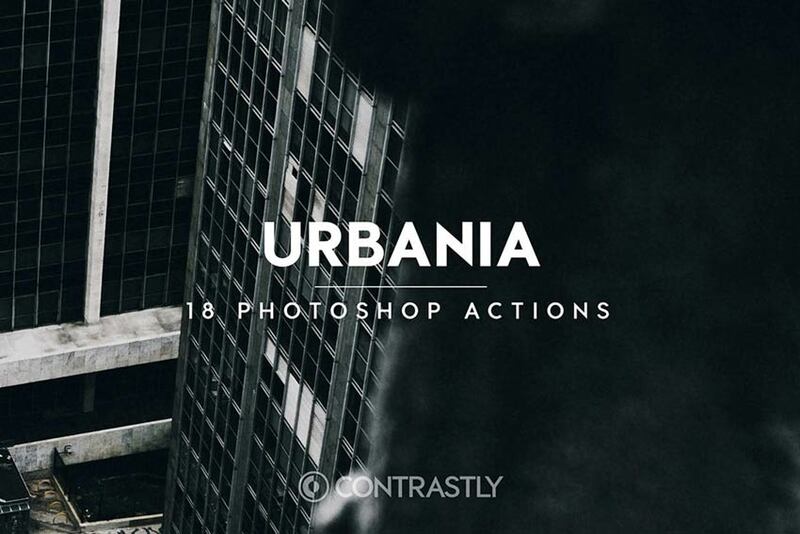 Easily capture the richness and grit of your everyday grind with this phenomenal pack of 18 Photoshop actions. The ancient tales of Big Foot are no longer a mystery with this next high-quality asset. 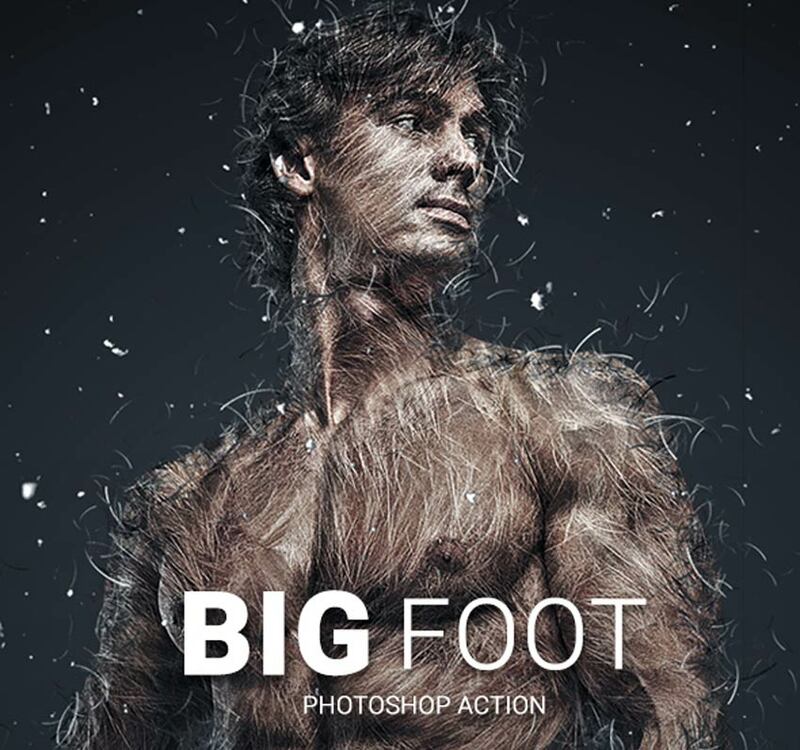 Designed to turn you into a fantastical, hairy beast, this Photoshop action creates a unique textured effect which distorts your photos. Try it out on portraits for the best results. Love to code? Show off your passion for ones and zeros with this next pack of Photoshop actions. Included in this download are nine actions designed for a tech-savvy look. Get access to cool, futuristic effects that will definitely wow your fans and followers. 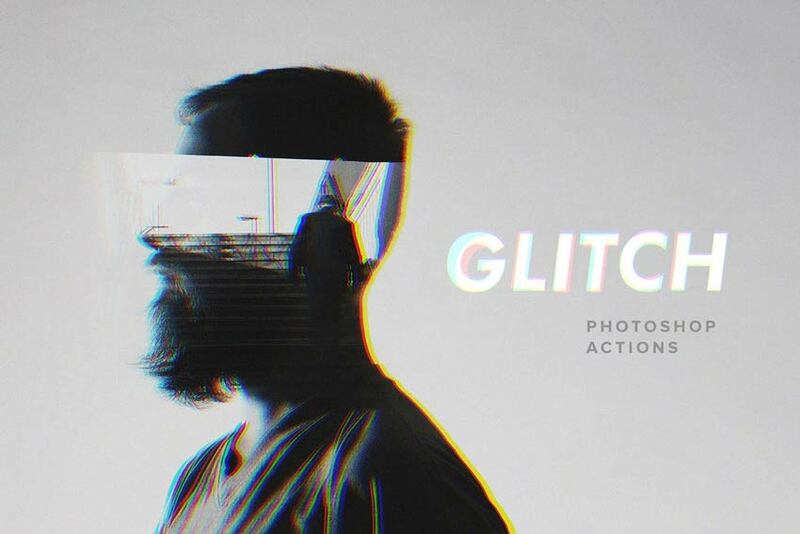 Retro glitch effects have now become an art form many designers love. 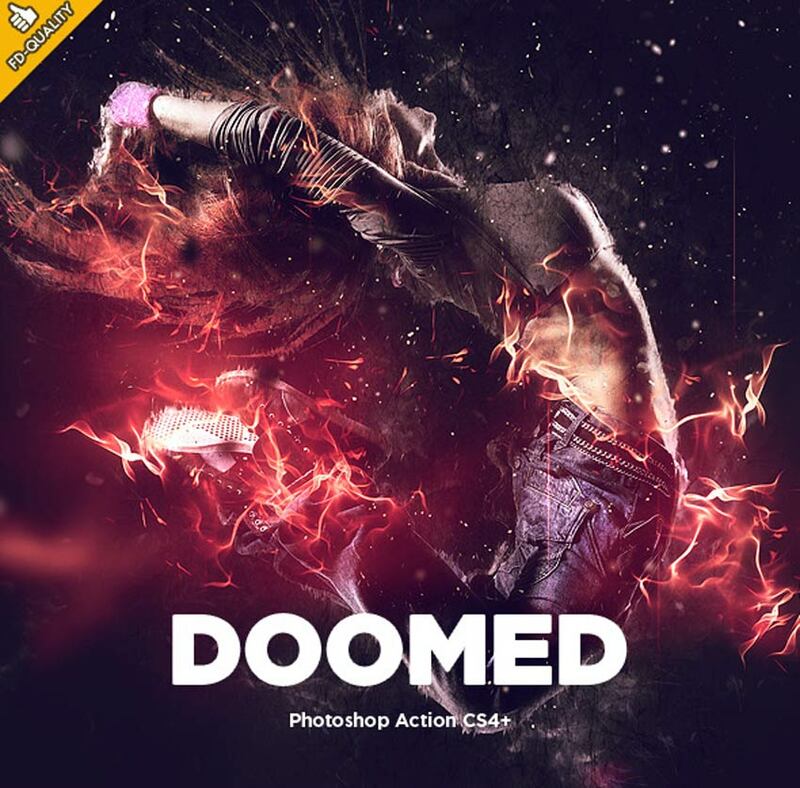 And now you can mimic this epic look with this Photoshop action set. This pack features 14 Photoshop actions inspired by post-apocalyptic movies and more. Try it out! 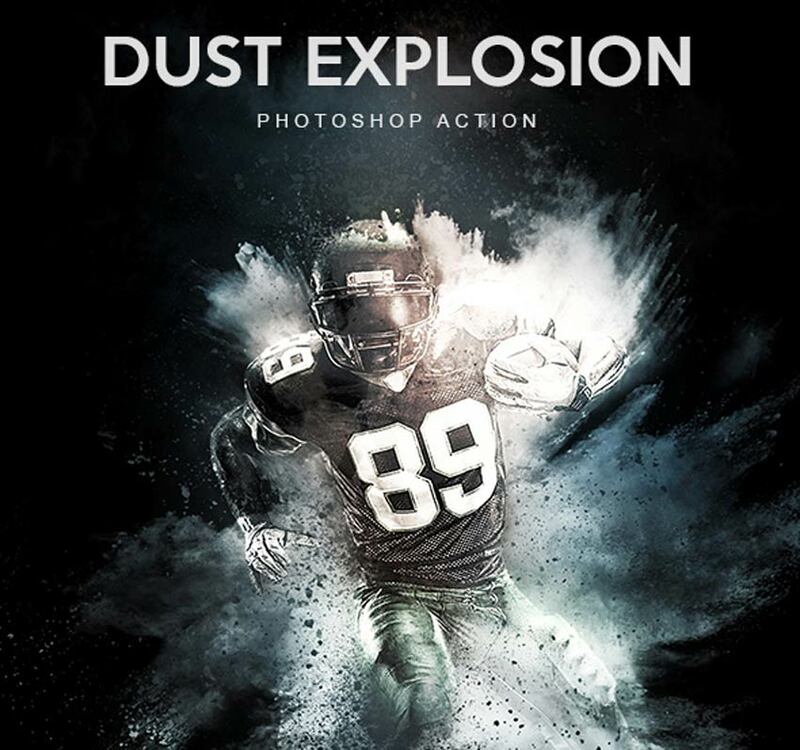 Disappear into a dust explosion with this next crazy Photoshop action. You can make this epic look in only two simple steps for an incredible result that pops right off the screen. Not sure how it works? Just follow the simple video tutorial for a thorough explanation. The final action in this collection features this remarkable frozen ice effect. Create a jaw-dropping ice sculpture with realistic ice textures and even falling snow! 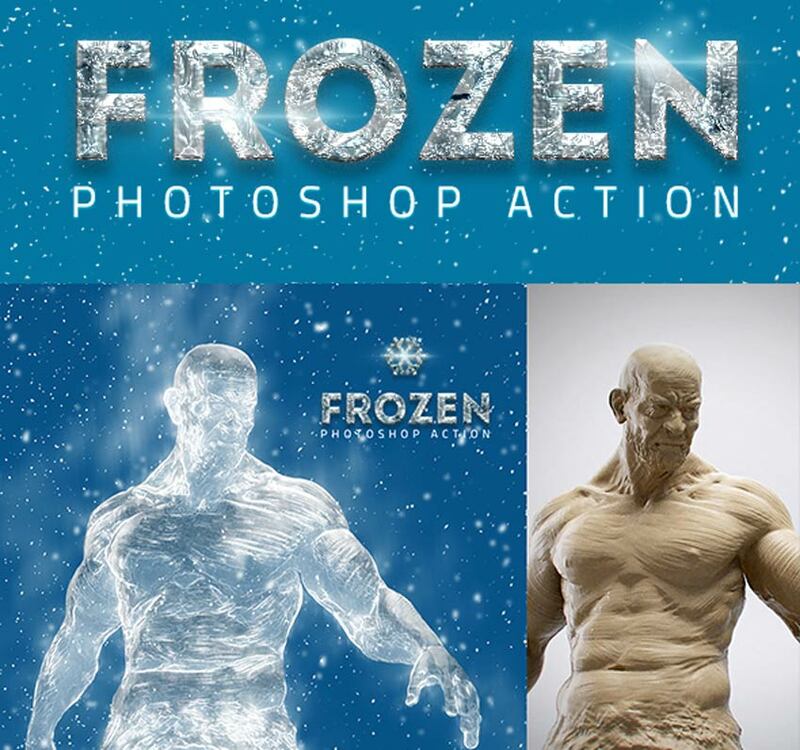 Turn nearly any object into a beautiful ice sculpture in just one click! Add it to your collection!